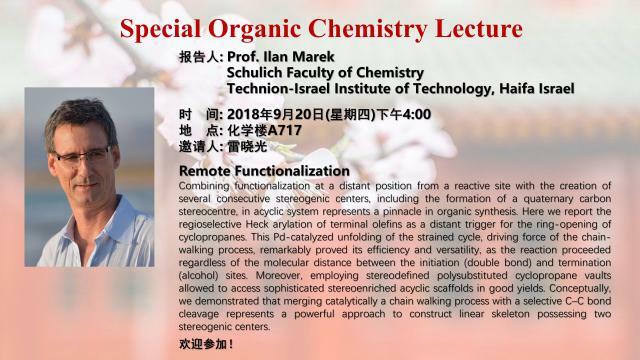 Combining functionalization at a distant position from a reactive site with the creation of several consecutive stereogenic centers, including the formation of a quaternary carbon stereocentre, in acyclic system represents a pinnacle in organic synthesis. Here we report the regioselective Heck arylation of terminal olefins as a distant trigger for the ring-opening of cyclopropanes. This Pd-catalyzed unfolding of the strained cycle, driving force of the chain-walking process, remarkably proved its efficiency and versatility, as the reaction proceeded regardless of the molecular distance between the initiation (double bond) and termination (alcohol) sites. Moreover, employing stereodefined polysubstituted cyclopropane vaults allowed to access sophisticated stereoenriched acyclic scaffolds in good yields. Conceptually, we demonstrated that merging catalytically a chain walking process with a selective C–C bond cleavage represents a powerful approach to construct linear skeleton possessing two stereogenic centers.